Weill Cornell Medical College researcher Scott Blanchard is the recipient of the National Science Foundation (NSF) Career Award in recognition of his groundbreaking work in cell biology, including the development of single-molecule tracking technology credited with revolutionizing cellular biology and opening new doors for drug discovery. The award totals more than $806,000 over five years. 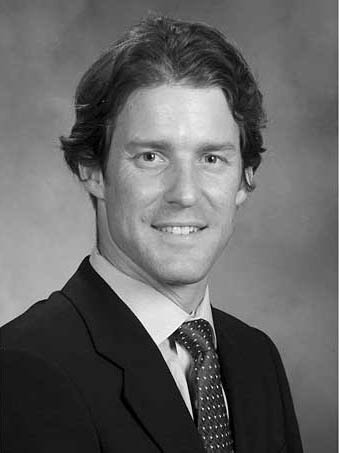 Blanchard joined the college in 2004 as an assistant professor in physiology and biophysics. 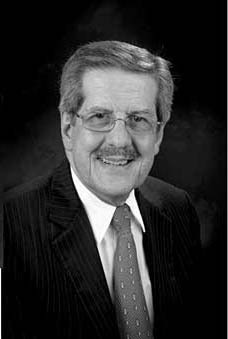 He is best known for advancing fluorescence technologies that allow scientists to observe the activities of single molecules in real time. Much of his previous and ongoing research has been focused on the ribosome, the complex molecular machine responsible for translating DNA-encoded instructions into usable proteins. The award "will help significantly to expand our work on the ribosome -- work that has potential for drug discovery. Nearly half of all therapeutic agents target the ribosome," Blanchard said. "Nevertheless, we know precious little about how they affect this complex enzyme at the molecular level. The NSF award will shed important new light on conserved aspects of the ribosome mechanism across species, enhancing not only our basic knowledge of how this enzyme is able to synthesize protein but also furthering our knowledge of how antibiotics work." An NSF Career Award is typically designed to fund basic science and has a strong educational component. 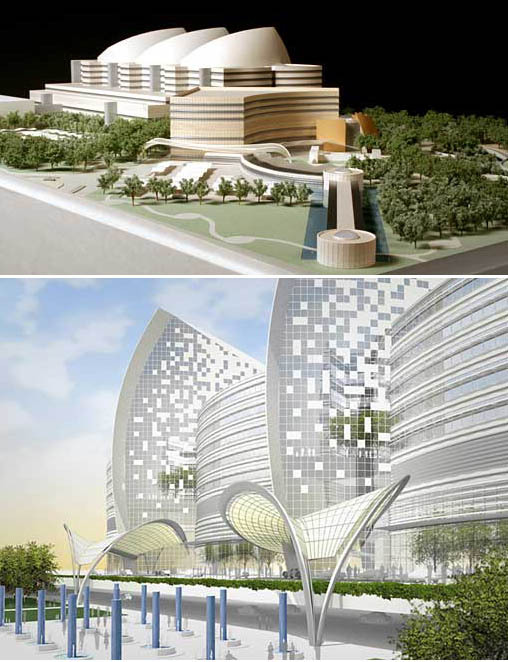 Model image of the new Sidra Mecical and Ressearch Center, designed by architect Cesa Pelli, which will be part of a new medical zone in the Education City campus, with housing for about 300 nursing staff and a walkway to WCMC-Qatar. Qatar Foundation for Education, Science and Community Development and Weill Cornell Medical College in Qatar (WCMC-Q) unveiled a major initiative in June to establish a world-class biomedical research program, the first of its kind in the Middle East. The program aims to form a biomedical research infrastructure, developing a scientific and technical workforce for the benefit of the region at large. Central to this endeavor is a partnership approach, bringing together institutions that have overlapping missions in medical education, research and health care. The program also will support high-quality research in the fields of genetic and molecular medicine, women's and children's health, gene therapy, stem cells and vaccine development. "This is a significant investment in biomedical research, which forms the second leg of our triple mission of education, research and clinical care," said Daniel R. Alonso, dean of WCMC-Q. "Following … the graduation of the first doctors to be trained in this country [last spring], we are now embarking on a long-term plan, which will play a key role in building biomedical research capacity and knowledge for the first time. "We will be working closely with our partners, such as Qatar Foundation, Hamad Medical Corporation, the National Health Authority, Sidra Medical and Research Center, Qatar Science and Technology Park and our colleagues in our parent campus at WCMC in New York," Alonso said. "Eminent researchers and faculty there will be playing major roles in establishing this program." When two plum trees and one peach tree in Niagara County, N.Y., tested positive for the plum pox virus (PPV) in 2006, a team dedicated to eradicating the virus sprang into action and within months turned to Cornell pathologist Marc Fuchs for help. Last year 16 trees in New York state tested positive for PPV. 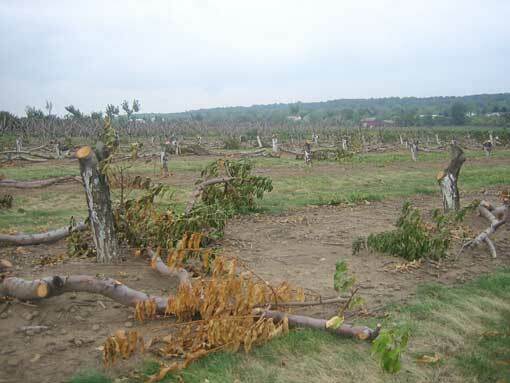 As a result, 26 acres of orchard were destroyed. Yet there is hope that, through stringent surveying and identification efforts, PPV can be eradicated from New York. 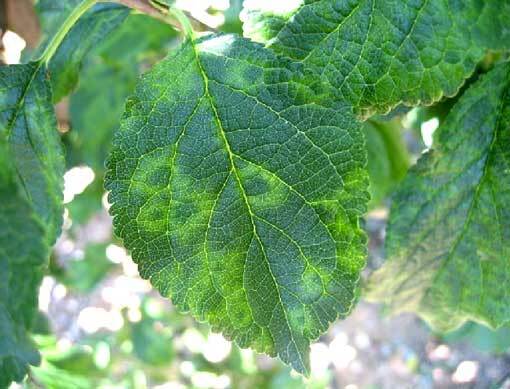 Plum pox was seen first in Bulgaria in 1915 and is now the major disease of Prunus trees in Europe, affecting plums, peaches, nectarines and apricots as well as ornamentals. Because the disease can be spread by aphids, regulatory officials in New York had been watching for plum pox for some time. In 2006 the U.S. Department of Agriculture (USDA) Animal and Plant Health Inspection Service (APHIS) declared an agricultural emergency in New York, which freed up funding for eradication efforts that included an in-depth survey of Prunus orchards and susceptible Prunus ornamentals in parks and backyards. Fuchs, an assistant professor of plant pathology at the New York State Agricultural Experiment Station in Geneva, N.Y., analyzes samples from Prunus trees to identify PPV for the team of APHIS and New York State Department of Agriculture and Markets officials. His lab analyzes all samples collected in New York state, which last season numbered 91,000. Fuchs expects to analyze more than 110,000 samples this season. Fuchs' lab, like all labs associated with the survey, is required to follow strict protocols for sample collection and analysis, which includes not knowing where samples come from so researchers are not biased by information pertaining to grower or location. Once a sample tests positive and the USDA's National Germplasm Resources Laboratory in Beltsville, Md., confirms that the sample is positive, the corresponding tree must be removed along with every susceptible tree within a 50-meter (about 55 yards) radius. A positive test result can be devastating for the grower, destroying both orchard and source of income. Yet growers understand that PPV has the potential to destroy Prunus orchards across the country, said Fuchs, and are compensated by the government for tree removal and loss of production. Ongoing extension efforts educate growers and keep them informed so that growers are included as part of the team. Elizabeth Keller is a writer for the College of Agriculture and Life Sciences. Researchers began moving into the $162 million, 263,000-square-foot facility over the summer. Its formal dedication is set for Oct. 16. A centerpiece of the New Life Sciences Initiative, Weill Hall features a striking four-story atrium, walls of windows and gleaming white tile, abundant open spaces and an expected gold rating in Leadership in Energy and Environmental Design (LEED) -- which would be the university's first. Go inside Weill Hall and learn how this ultra-specialized facility is transforming research and teaching in the life sciences. The building's lab space can accommodate up to 500 researchers. The building's primary residents are the Joan and Sanford I. Weill Institute for Cell and Molecular Biology, the Department of Biomedical Engineering and the Department of Biological Statistics and Computational Biology. The building's two-acre basement includes a low-vibration space for imaging research, controlled environment chambers for plant research and tunnels to the Plant Sciences and Biotechnology buildings. Other features include a café, a business incubation center and the H. Laurance and Nancy L. Fuller Learning Center for lectures and teleconferencing. 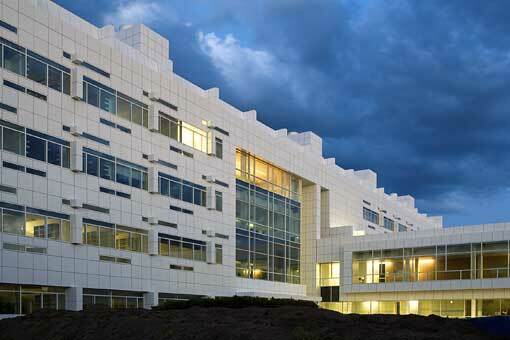 Weill Hall was designed by Pritzker Architecture Prize--winning architect Richard Meier, B.Arch. '57. It is named for benefactors Joan and Sanford Weill '55. Sanford Weill is the former chairman and CEO of Citigroup, Cornell trustee emeritus and chairman of Weill Cornell Medical College's Board of Overseers. Both Joan and Sanford Weill are presidential councillors. Starting this fall, service-minded students can work toward a new distinction for their Cornell résumés -- public service scholar. The Public Service Center is launching the new co-curricular program, which combines academic immersion with hands-on learning, all with a focus on civic engagement and social justice. Public service scholars will take one required class each semester, including one on the concept of citizenship and another on research methods. They'll also participate in the Public Service Leadership series and one Civic Dialogues series. Participants will do a project or thesis to complete the program. Students with at least four semesters remaining are eligible to apply, though the program is designed to take three years. The program is coordinated by the Public Service Center in partnership with the Faculty Fellows in Service; the Knight Institute; the Department of City and Regional Planning; the Center for Teaching Excellence; Steve Hamilton, associate provost for outreach; Ron Seeber, vice provost for land-grant affairs; Michele Moody-Adams, vice provost for undergraduate education; and the Triad Foundation. For more information, visit http://www.psc.cornell.edu.